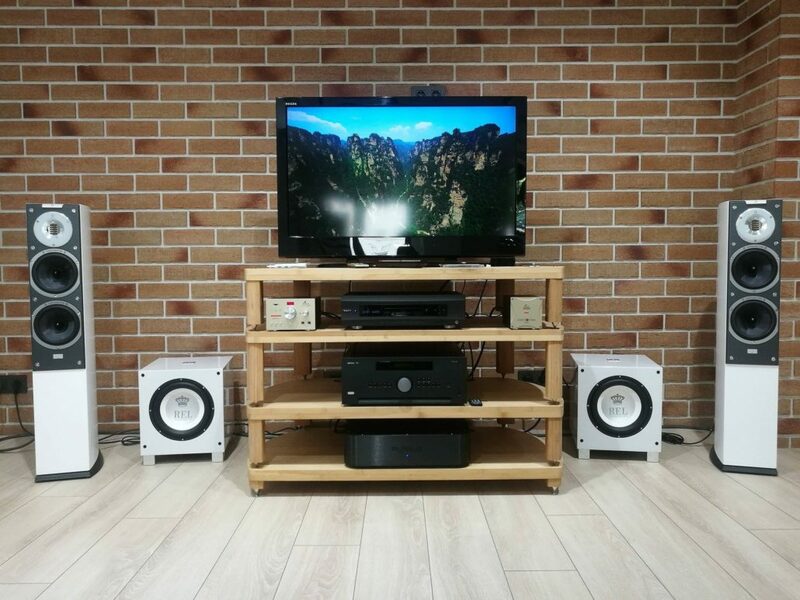 While one subwoofer can be enough to enjoy music on a stereo system or a movie in surround sound, two subwoofers have always been required for serious Hi-Fi reproduction of stereo music. The reason for this is there are phase differences between the left and right speakers. They are critical to proper music reproduction in stereo recordings. These phase differences allow the mixing engineer to place instruments within the sound stage. For example the drummer moves to the back while the lead singer comes up front. Some of these phase differences occur in the low-bass frequency range. When using a single subwoofer to play stereo music, you end up summing the low frequencies of a stereo recording into mono. With only one subwoofer some of these low frequency phase differences partially or completely cancel each other out. When subwoofers first became popular to lovers of organ music in the 1970s, they were exotic and expensive. 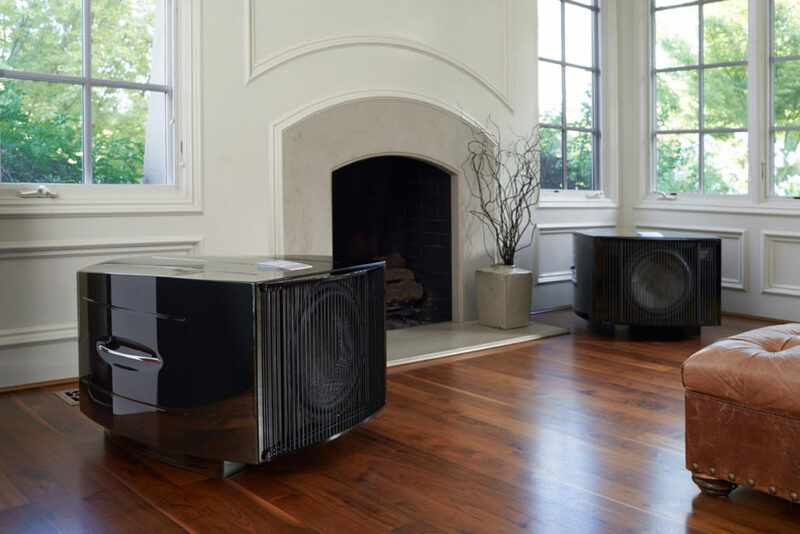 In order to sell these expensive subwoofers, subwoofer makers convinced music lovers that they could get by with just one subwoofer in their home stereo system. Since most LPs had been mixed with the lowest frequencies mixed to the center (mono), using a single subwoofer rarely presented a problem. Also, turntables back then weren’t happy reproducing extremely low frequencies, even in mono, because they tend to make needles jump out of the groove. Digital can record straight down to DC. And the new digital Compact Discs of the 80’s allowed anyone who could afford a CD player to have perfect sound forever. Home CD players usually have distortion-free and flat response down to 2 Hz or less. For the first time in 100 years of electronic sound reproduction, consumers have access to recordings with unlimited deep bass. Since there is no point in mixing or summing the bass to mono, bass has been in stereo ever since the introduction of the CD player. Bass has been in stereo ever since the early 80s. CDs, DVD-As, SACDs, and even in 5.1 movies, you can hear the difference. Using a single REL subwoofer will give you sub harmonic frequencies necessary to recreate instruments and hall space. But with only one subwoofer you can still lose a lot of the phase differences. They are necessary for the placement of instruments within the space. When reproduced properly with stereo REL subwoofers you get the sub harmonic frequencies. The phase differences critical to reproducing stereo are also kept intact in the sound space of the original concert hall. Connect the left subwoofer to the amplifier’s left main output and the right subwoofer to the amplifier’s right main output. REL subwoofers tend to work best in corners, one behind each of your main stereo speakers. When dialing in a REL subwoofer, be sure to run your main stereo speakers at full range. It’s always best to run as much of the music as possible through the main speakers. Then using the crossover network on the REL subwoofer, cross over at the lowest frequency you can. Stereo subwoofers make a huge difference in soundstage. While a single subwoofer can sound good, it cannot reproduce the ambiance or out-of-phase bass information in true stereo recordings.